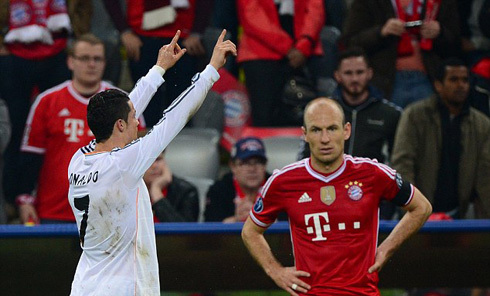 ﻿ Ronaldo and his UCL drought: Can he score against Bayern Munich? 24.03.2017 » Ronaldo and his UCL drought: Can he score against Bayern? This Champions League campaign has not been the most prolific one for Cristiano Ronaldo. That's no secret. However, it's in games like the ones approaching that his goals can really be decisive. Will we see his best version against Bayern Munchen in April? 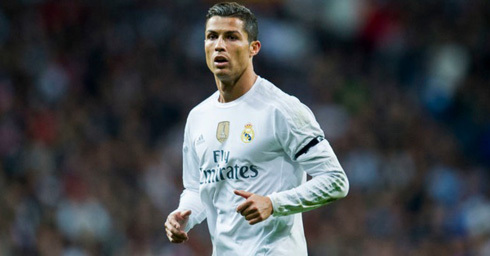 When Real Madrid take on Bayern Munich, in what looks to be the clash of the Champions League quarter finals, the one question on almost everyone's lips will be: Will Ronaldo score? The 32-year-old may have found the back of the net 19 times in La Liga this season, but it seems his magical left and right foot are letting him down in the European competition. Of course, manager Zinedine Zidane has plenty of world-class talent to fall back on when Mr Cristiano Ronaldo isn't on top form. However, it would certainly bolster the Spanish side's chances of defeating the second favourites for the title if he was able to bag a goal or two. Indeed, when the two teams meet for the first leg on April 12, it will be the Germans with the advantage. Bayern are 7/2 to win the competition outright (behind Barcelona at 9/4) and 4/5 to win the first leg against Real Madrid. Now, current form for both teams will certainly have something to do with those odds. In their last six games, Bayern have won six, scored a net busting 23 goals and conceded just two. Although Madrid's 17 goals, nine against and five wins over the same period is still hugely impressive, it's not quite as impressive as Bayern's run. So, if we accept that Bayern have the edge as a team at this point, the game really could come down to the performance of one man: Ronaldo. Unfortunately, the goal ace hasn't done what he does best for more than 600 minutes in the Champions League. After Los Blancos beat Napoli 3-1 in game 1 of the round of 16, Ronaldo's time without a goal ticked over to 523 minutes. Then, just a couple of weeks later, when Madrid beat their Italian opponent's by the same score line, CR7 failed to find the net again. At this point, some would be looking at this like it was a crisis. Fortunately, Ronaldo has a few things on his side. Firstly, he still managed to score 80 goals in 81 Champions League games. On top of this, he's also netted 34 from 38 games during the competition's knockout stages. If that wasn't enough, who could forget the way Ronaldo slotted a free kick underneath the Bayern wall during Madrid's 4-0 victory in the 2014 Champions League? When it comes to big games and vital strikes, Ronaldo seems to have a knack of hitting the target when it matters the most. With Real Madrid starting the game as the underdogs, this could be the perfect time for the Portuguese pro to break his drought. There's no doubt the game will go down to the wire and it could be a Ronaldo strike that tips the balance. Should that happen, we could be on for an all-Spanish Champions League final this season and another chance for Ronaldo to prove that he's just that little bit better than a certain Lionel Messi! Cristiano Ronaldo next game is a 2018 World Cup fixture, on March 25 of 2017 against Hungary. You can watch Juventus live stream, Portugal vs Hungary, Spain vs Israel, England vs Lithuania, Italia vs Albania, and Croatia vs Ukraine, all matches provided from our football streams game pages.